Looking for an inside job? 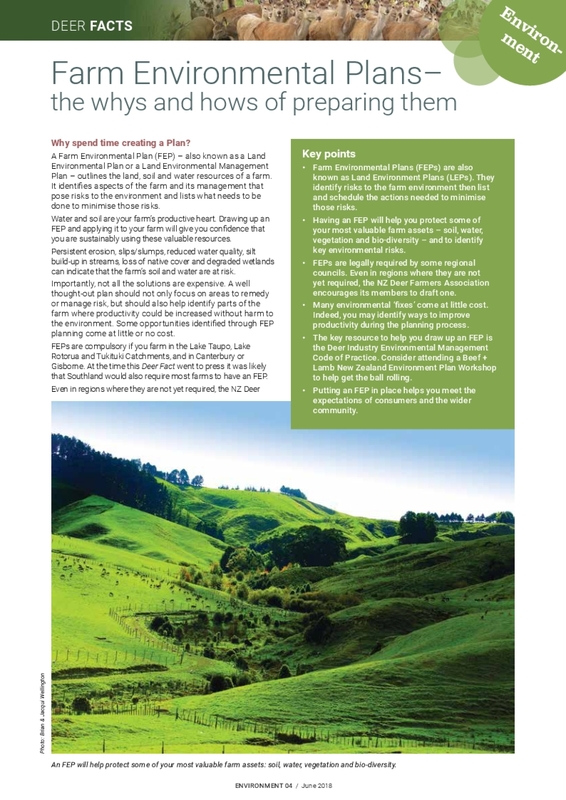 With the weather cold and wet, it’s a good time to make a start on your Farm Environment Plan (FEP). The basics are covered in a Deer Fact enclosed with the latest Deer Industry News, now in the mail. The NZDFA and DINZ believe it is in the interests of all deer farmers to have a plan, even if the local regional council doesn’t yet require one. It demonstrates to regulators, the NZ community and customers that farmers are taking their environmental responsibilities seriously. Farmers who have a ‘live’ plan say it is worth the commitment. They say it helps guide their stock and paddock management, and gives them a better understanding of how their management decisions impact on the environment. Because an FEP is written down it can be easily shared with family and staff involved with the farm. Then there are the co-benefits: less mud and more shelter mean happier deer and a better work environment. There may also be personal enjoyment from more birdlife and clean streams to swim and fish in. Increased levy to fund more services? The likely need for an increase in the levies paid by deer farmers and venison processor/marketers was flagged up at the 2018 Deer Industry Conference by chair Ian Walker (pictured). A review of the deer industry strategy by the DINZ board has concluded that not much needs to change strategically, but an increased focus on the “sustainably growing” component was needed – especially environmental stewardship. Walker said he expected to see DINZ deploying more resources into environmental stewardship work - including technical support for deer farmers dealing with water quality issues and before long, the emissions trading scheme. Chief executive Dan Coup says that with the drop in venison volumes in recent seasons and continuing significant investment in P2P, an increase in the venison levy for 2018/19 will be needed if more environmental resources are to be deployed. DINZ managers are now preparing draft budgets. Once they have been considered by the board, these will be used as the basis for consultation with representatives of levy payers, including the NZ Deer Farmers Association. DeerPro to come in-house? The DINZ board is proposing that DeerPRO – formerly Johne’s Management Ltd – should be managed directly by DINZ and funded by normal venison levies. At the moment it is managed by an independent board and funded by a ‘voluntary contribution’ of 90c/head paid by venison processors. Dan Coup says that with a reduced venison kill, it had become increasingly difficult to justify the standalone company structure for DeerPRO and there had also been concerns raised about the transparency of the funding system. “The DINZ Board is of the view that DeerPRO provides valuable industry good services, but those services should be delivered as efficiently as possible and using a transparent funding stream. That’s why they are looking to consolidate it into DINZ. This will also provide the opportunity to ensure DeerPRO’s work is well-aligned with DINZ’s on-farm productivity work, including P2P. 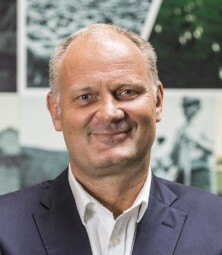 Limmer joins DINZ board: Simon Limmer, the new chief executive of Silver Fern Farms (pictured left), was appointed to the DINZ board in March, replacing his predecessor at Silver Fern Farms, Dean Hamilton. This is an interim appointment until 1 July when it will be formalised following an election for the position, in which Limmer was the only candidate. 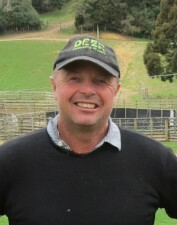 There are eight members of the DINZ board, four appointed by the NZDFA, three elected by venison processors and marketers and one elected by velvet marketers and processors. Each seat on the board has a three-year term, with two or three seats coming up for re-election each year. One producer seat on the board came up for re-election this year, the one held by King Country farmer William Oliver (pictured right). He stood for re-election and was the only candidate for the seat. 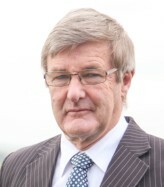 He was reappointed by the NZDFA selection and appointments panel and starts a new 3-year term on 1 July. 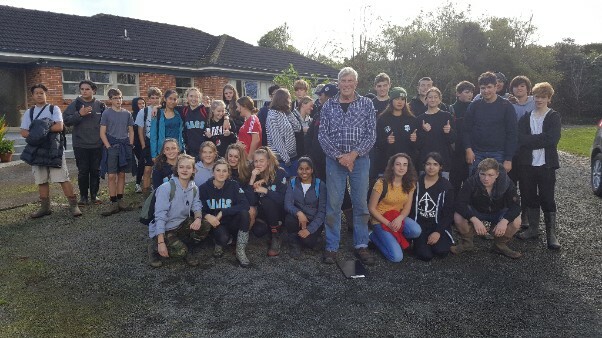 Auckland students get a taste of deer farming: Earlier this week South Auckland deer farmer Malcolm Hardie hosted 40 year-11 Mt Albert Grammar students on his Waiau Pa farm. It was all about “getting urban kids into the countryside to find out what’s going on.” He says he gave the students a talk about the deer farming calendar and showed them his deer shed and handling facilities, as well as some regrowth velvet. “The deer kept their distance, but the kids were enthusiastic. I explained velvetting and answered their questions about velvet weights and prices,” says Hardie, a retired property valuer who has farmed deer on his 21 hectare (effective) deer farm for 30 years. Mt Albert Grammar is unique in having a 8.1 ha working farm in Auckland city. At present it educates 160 students from Years 10-13 in Agricultural and Horticultural Science. It plans to expand this to 500 students and to introduce at least 20,000 visiting Auckland primary and secondary students to agriculture and horticulture each year. This is being made possible thanks to funding from ASB Bank, KPMG and AGMARDT. Have your say on the Zero Carbon Bill: New Zealand has a target to reduce greenhouse gas emissions by 30 per cent below 2005 levels by 2030 and 50 per cent below 1990 levels by 2050. The government is now committed to setting a more ambitious target of net zero carbon emissions by 2050. How the country gets to that point will be largely determined by the content of the Zero Carbon Bill now before parliament. For farmers the journey will have personal and financial implications, as all the options being considered include farm livestock emissions. To make the issues a little easier to come to grips with, Beef+Lamb has summarised them here [beeflambnz.com/zerocarbonbill]. You can also have your say by filling out the submission form on the same site. Pāmu deer milk wins innovation award: Deer milk produced by Pete and Sharon McIntyre for Pāmu (formerly Landcorp) on their farm near Gore was awarded the Grassroots Innovation prize at the National Fieldays earlier this month. Chief executive Steve Carden said deer milk was the sort of innovation the agriculture sector needed to invest in to make sure it remained competitive. The milk comes from a herd of 80 red deer, milked twice a day from November to March. The hinds produce 5000 to 6000 litres of milk each season, which is sent to Massey University's food hub for drying. Pāmu supplies the deer milk powder to high-end restaurants in Auckland and Wellington at more than 20 times the price of more traditional milk products. Use in cosmetics is also being explored. Carden told Stuff that the feedback from chefs had been positive, but the challenge would be making the product commercially viable. "We believe we are on the cusp of something very exciting," he said.